Inside the Writing Process of 10 Successful Reporters — How Do They Do It? At Process Street, we’re fascinated by the inner mechanics of all kinds of operations especially when it has to do with writing. Today, we’re taking a deep dive into a notoriously tricky process: journalism. It’s a hard field, one that demands quality, accuracy, and succinctness, all under a huge time crunch. We recently interviewed ten reporters to peel back the lid on their processes, get some writing tips, and understand how they deliver quality under pressure. From news outlets like Bustle and National Geographic, we found that reporters are most successful when they adhere to a nuanced process—one they’ve tailored over the years to suit them. If you do it right, you’ll wind up like Matthew Hussey, Editor-in-Chief of The Next Web. As he told us,“The writing is actually the shortest part in my experience,” so long as you adhere to a process. There are a lot of different kinds of journalism: op-eds, long form articles, columns, obits. Even though these all have different styles and approaches, there’s one bottom line. The goal is to distill information in a form that other people can read and get insight from. In order to do that, you need to bring a lot to the table, even if you’re only writing a 600-word article. 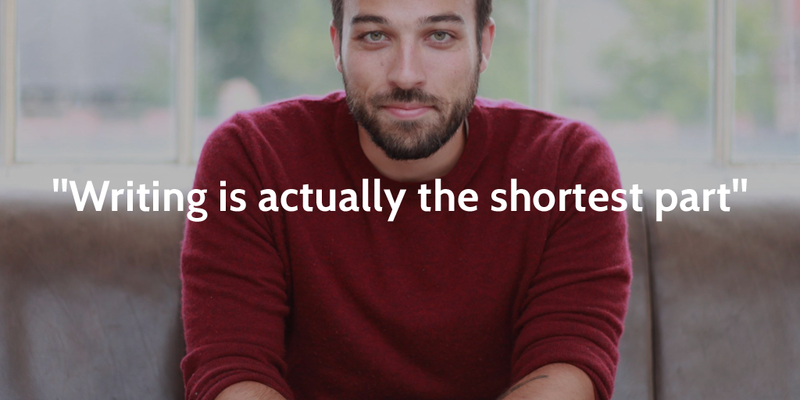 That means you have to do your homework—you’ll save yourself massive amounts of work later on. Before you can distill information, you need to get the facts straight. Depending on the kind of story you’re writing, this might involve doing investigative reporting, extensive research, or even conducting your own interviews. But no matter what they were writing, the reporters we spoke to all told us that they spend the bulk of their time collecting facts. Rachel Veroff, a New York City-based freelance journalist and contributor to Downtown Magazine, has found that laying a strong foundation in the research phase is the most important part of putting together a good article. There’s another aspect of doing your homework: reading. Articles are part of a living ecosystem—one that’s constantly changing now that people are churning out web content really quickly. Before you write, you need to know what else is out there. If you’re reporting on a high-profile murder case, what else will your readers have heard about it? Is there misinformation floating around the Internet? What coverage has been getting a lot of views? In order to report in a way that maximizes your contribution to the reader, you need to read a lot. And be able to find it all at the drop of a hat. Some reporters use Airtable to contextualize work. Airtable is a reimagined version of a spreadsheet, so it can help catalog documents, contacts, and videos in an easy to read and searchable manner. This is especially useful for freelancers. If you’re writing for a lot of different publications (John works with The Atlantic, Bloomberg News and WBUR among others), you can keep a record of what you’ve written, what you’ve pitched, and your notes. We’ve been playing with Airtable here at Process Street to create a content catalogue of all of our onsite and offsite content (guest posts, YouTube videos, press, interviews etc..). We build and maintain this database with a combination of automation (new posts create an entry via Zapier), pulling in data dumps from Ahrefs and manually curating the rest. We use it for tracking our SEO, for building relationships with other publishers and for content promotion. If you’re interested in a full breakdown of how this content database works, let me know in the comments and I may write a post about it in the future. Once you’ve collected all the facts, it’s time for your outline. Outlining a piece helps you figure out what it’s really about. If you’ve done the research phase right, you have a lot of info at this stage—now you just need to structure it into something coherent. 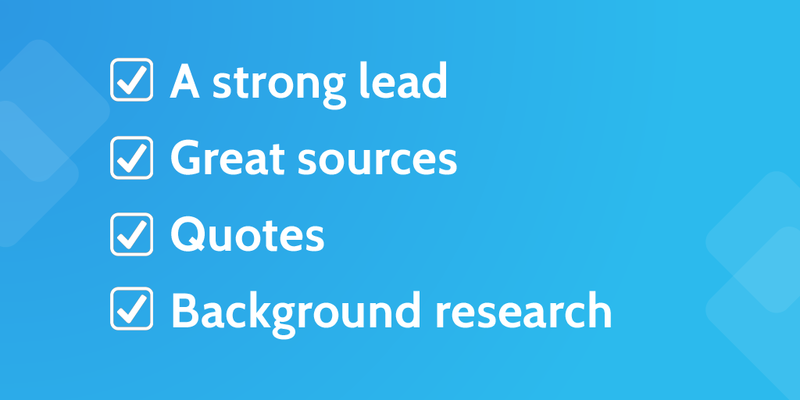 Freelance journalist Andrew Tate specializes in data-driven articles for SaaS companies. This involves highly technical writing, often dealing with a lot of numbers. When you’re taking that much info and trying to make it legible, it’s really important to nail down the bones of an article before. So the first thing Andrew does after gathering his data is to lay it out and develop an outline. When you’re dealing with a lot of content—whether it’s numbers or interviews you’re trying to make sense of—it’s really useful to plug it into an app to help get an outline. Andrew recently wrote an article for ProfitWell called 43 Ways to Calculate SaaS Churn (And Why You Should Just Keep it Simple). ProfitWell is a SaaS metrics tool that helps people get accurate (and actionable) data. Their blog readers are well-versed in SaaS metrics and are looking for really in-depth analysis of how to improve their SaaS product. Not only did using spreadsheets help to keep track of all the data, it helped him come up with an argument. As he told us, “You end up with such a wealth of information that absorbing it all first and coming out with a defined idea of a what the story is really about is very important.” Using an app really aids that process. 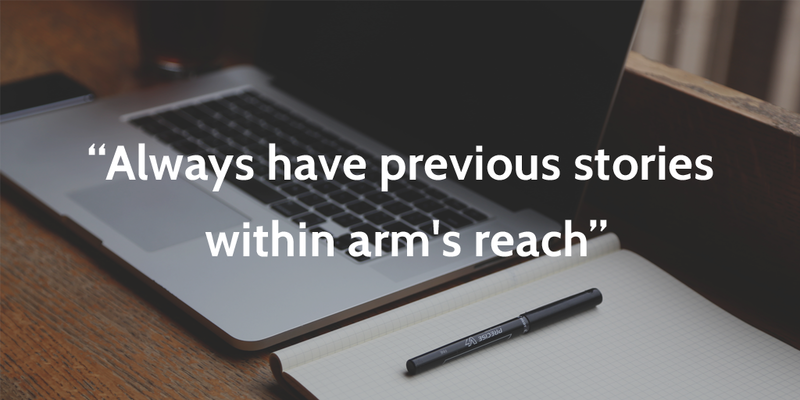 Distilling information can also be an issue if you’ve conducted interviews. You might wind up with an hour’s worth of tape and only a quote or two that’s worth using. Even though the rest of it is interesting, you need to cut out the cruft. 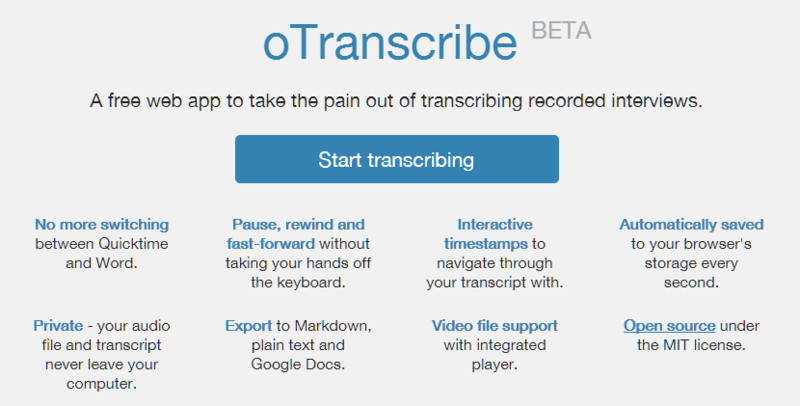 The reporters we spoke to rely heavily on certain apps to do this, like oTranscribe, a transcription app which Caroline Santinelli of National Geographic swears by. Other apps like Evernote and Hackpad are popular for helping reporters organize their thoughts. It’s important to keep all those notes—you want to have them handy in case they end up coming of use later in the writing process, especially if an editor does a hack job on your article. Matthew Hussey, Editor-in-Chief of The Next Web says it’s absolutely necessary to have a “very rough breakdown of the flow of the piece.” Bay Area freelance journalist Emily Dugdale agrees. Once you have a strong outline, it’s just a matter of plugging things in. It also works with creative journalism pieces. Sousan Hammad, a contributor at Al Jazeera English and The Nation does something similar. She went to journalism school and learned to write somewhat formulaically, but now tends to write creative or feature-length pieces. But she still follows an outline, though it’s more of a plot line. When weaving together complicated stories—like the narrative of two separate characters on the other side of the globe, it’s hard to know when to switch between them. An outline helps you figure out what belongs where. Sousan figures out when she’s going to switch between two intersecting storylines so that the narrative doesn’t get too complicated when she’s actually writing. Here’s the problem with collecting notes and outlining: you can do it to death. If you’re researching an article that has a lot of substance to it, it’s more than plausible that your research could go on forever. A quick article about a local women’s soccer league championships can quickly spiral into an inquiry on sexist practices in the history of the sport if you’re not careful. But it’s dangerous to hold off on writing just because you don’t have the complete story. As the reporters we spoke to told us, you’ll never have the complete story! 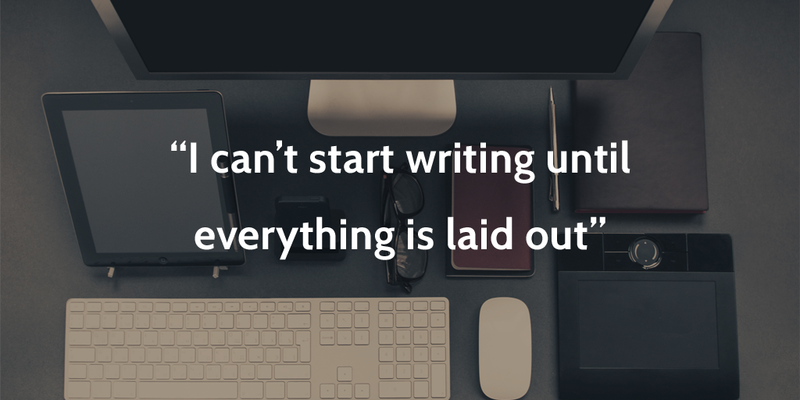 So that feeling of being “not ready to write” just might mean it’s time for a draft. A terrible draft is no fun to read. But it’s a necessary stepping stone to getting to an okay second draft, a good third draft, and even a Pulitzer Prize-winning publishable article. 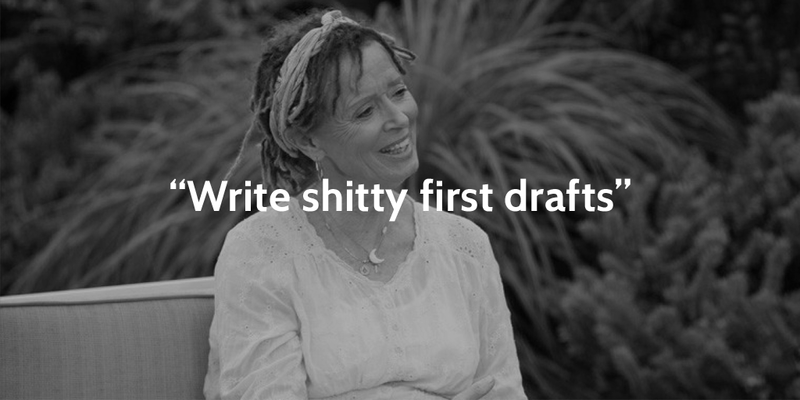 What’s even harder than writing that first draft is sharing that first draft. Perfect is a luxury you’re not afforded—so it means you have to share your drafts with editors, peers, or whoever is willing to look over it—before it feels “done.” This affords you the kind of feedback that will help you make smart edits. If you’ve done the rest of the process right, you shouldn’t spend too much time here. It’s the shortest of all the 4 steps. This process is different from re-writing. It might mean pleasing your editor. It might mean distilling information further. It might mean killing your darlings. But since you’ve done the bulk of the work, you don’t have to do a total rewrite. Once you’ve spent a lot of time researching an article, or even spending time with the subject matter, it can be hard to get out of your own head. 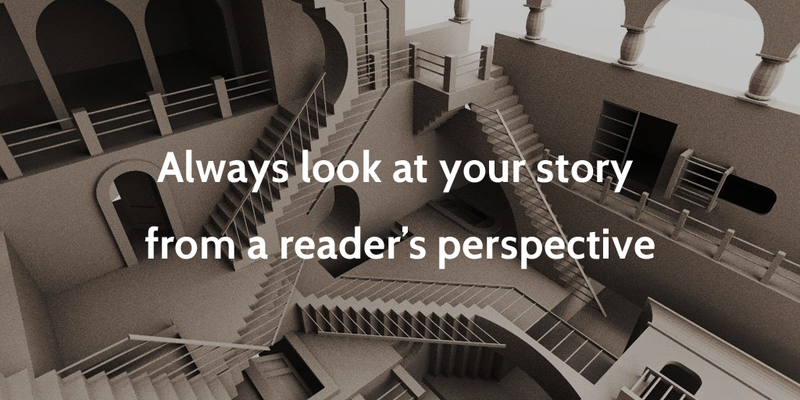 When reshaping an article, journalists make sure that they look at it from a reader’s perspective. Let’s say you’re writing an article about the renovation of a historic hotel. You probably learned all about the history of the building, and what other renovations have been done. But if you mention the fire of ’86 offhand, does the reader know what you’re talking about? Have you contextualized everything? The final parts of writing an article depend upon the publication you’re working for. Sometimes this entails making sure that your piece meets all the requirements of that publication, like its style guide, or its citations. A lot of publications have their own special formatting, that can be hard to remember—especially if you’re a freelancer. For example, Bustle requires writers to link to three other pages within the first 200 words. National Geographic, on the other hand, might be more concerned about total word count. Of course, these journalists are always working with editors. Still, they all emphasized the importance of taking every step in the process and finishing strong with good copy-editing, or else you look stupid after you put in so much work. Without taking these steps, you diminish your efforts. No matter what your method—whether it’s post-it notes or checklist software—it’s an important way to make sure you stay on track and meet that deadline. Mapping out your time is a skill. 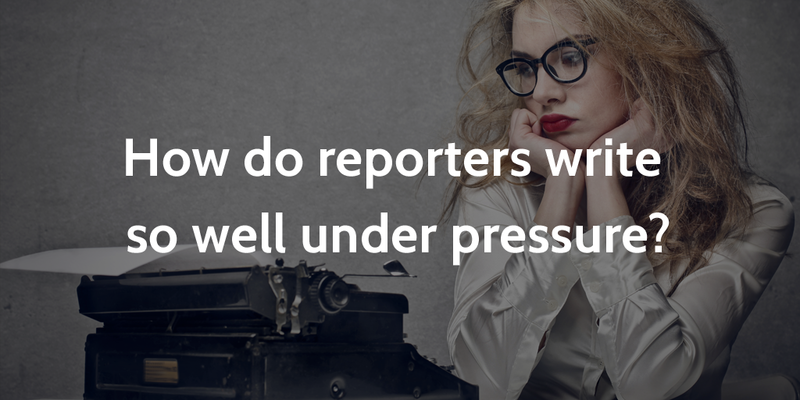 As tempting as it may be to spend just a little more time researching, or polishing up that lead, journalism requires writers to work under pressure and stick to their plan. If you stray too far from the schedule, you just might miss that all-important deadline. I love Airtable for blogging stuff and would definitely be interested in a tutorial on that assets table you have! It looks completely awesome.